INSITER 2016/17 Academic Co-Coordinator and INSITER Advisory Board Member Wulf Reiners published together with Funda Tekin an article entitled “Taking Refuge in Leadership? 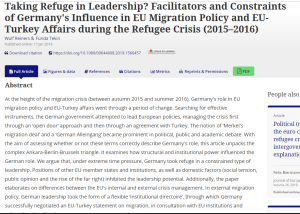 Facilitators and Constraints of Germany’s Influence in EU Migration Policy and EU-Turkey Affairs during the Refugee Crisis (2015–2016)” in German Politics, 2019, https://doi.org/10.1080/09644008.2019.1566457. 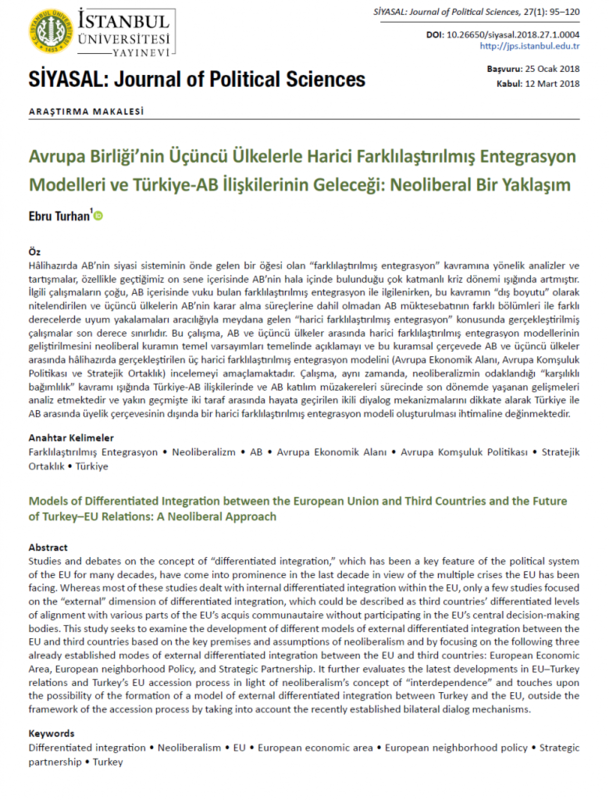 INSITER Coordinator Ebru Turhan’s chapter titled “Thinking out of the Accession Box: The Potential and Limitations of Internal and External Differentiated Integration between Turkey and the EU” was published in the edited volume (Matthias Waechter / Hartmut Marhold, Eds.) 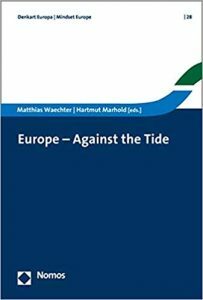 “Europe – Against the Tide”, pp. 43-59, Nomos: Baden-Baden. 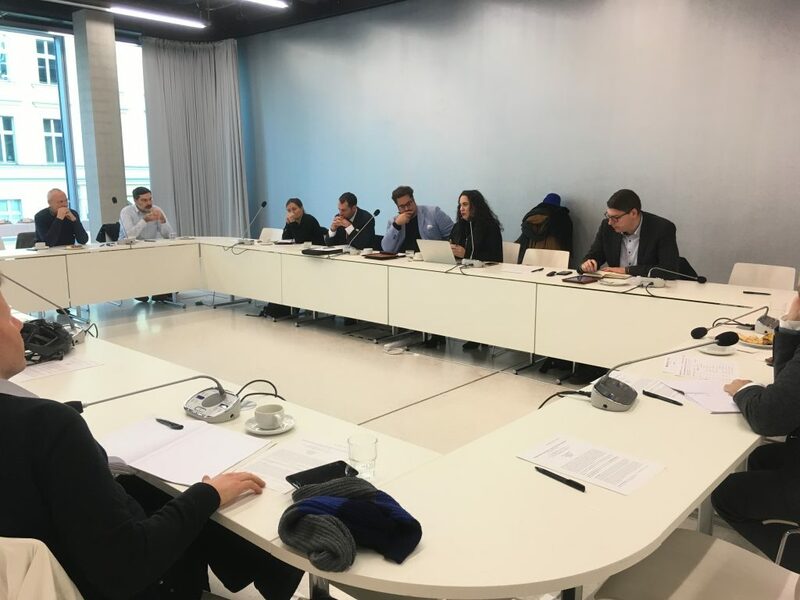 On 4 December 2018 INSITER Coordinator Ebru Turhan acted as a panelist together with Dr Simon Waldman (King’s College London) at a breakfast talk in Berlin titled “Between Brussels and London: The UK’s Turkey Policy after Brexit” organized by Heinrich Boell Foundation. Throughout her speech Turhan addressed the existing partnership models between the EU and third countries outside the accession framework and analyzed the similarities and differences between Turkey and these third countries in terms of their working relationship with the EU. Turhan further talked about the limits and potentials of the applicability of a possible Brexit model to the EU-Turkey dialogue. INSITER Coordinator Ebru Turhan will realize a research stay at the Institute for European Politics (IEP) in Berlin during June-September 2018 with the kind support of the German Academic Exchange Service (DAAD). 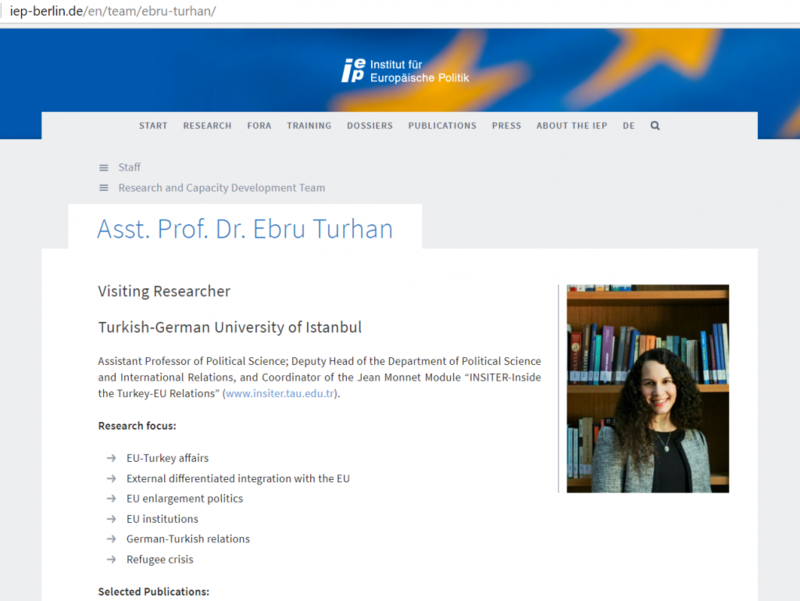 Throughout her stay Turhan will serve as a visiting researcher at the IEP where she will intensively focus on the normative consistency of the EU’s enlargement policy towards Turkey and Turkey’s issue-specific external differentiated integrated with the EU, which are research areas closely linked to the INSITER project. In this vein, the research stay at the IEP will positively contribute to the overall progression of the project and the research conducted within the framework of the INSITER while also enabling the dissemination of the existing project outputs within the German academic circles. 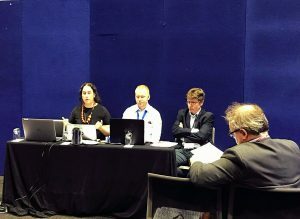 INSITER Coordinator Ebru Turhan participated in the 25th IPSA World Congress of Political Science, which was held between 21 and 25 July 2018 in Brisbane, Australia with the theme “Borders and Margins”. 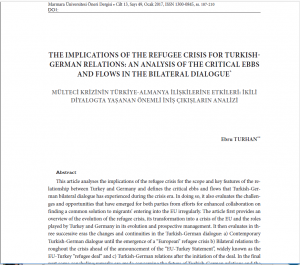 At the conference Turhan presented her paper titled “From Accession to Partnership? Normative Questions about the EU’s Enlargement Policy towards Turkey” at the panel “Differentiated Integration in the European Union – Consequences for Relations with Neighbours”. of Turkey–EU Relations: A Neoliberal Approach) in SİYASAL: Journal of Political Sciences (indexed in ESCI), Vol. 27, No. 1, pp. 95-120. 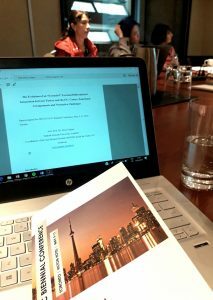 INSITER Coordinator Ebru Turhan participated in the 2018 Biennial Conference of the European Community Studies Association – Canada (ECSA-C) that took place during 9-11 May 2018 in Toronto, Canada. Turhan presented a paper titled “The Evolution of Extended External Differentiated Integration between Turkey and the EU: Causes, Functional Arrangements and Normative Challenges” at the panel “Nearby Tensions: Changes in EU relations with neighbouring states”. 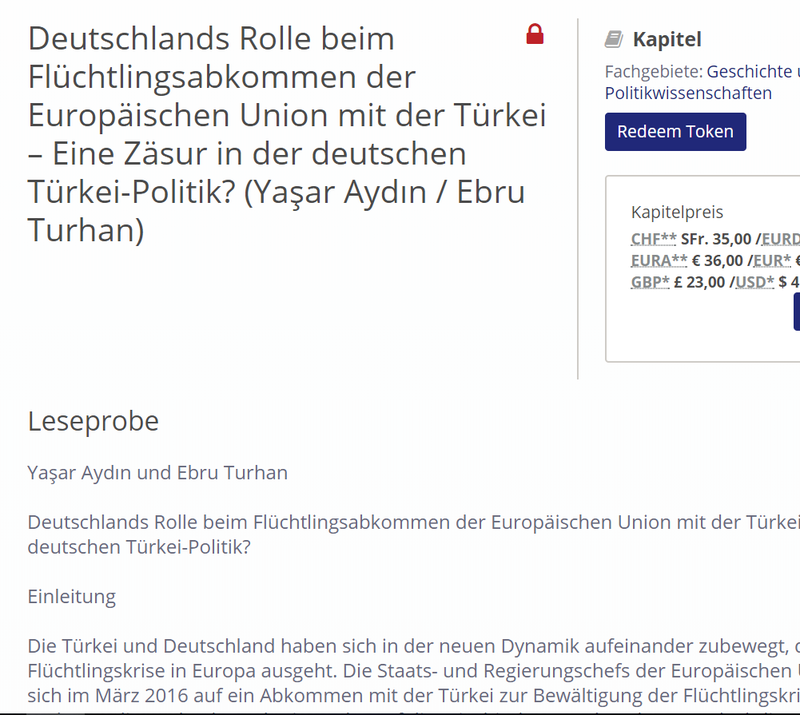 INSITER Coordinator Ebru Turhan together with Dr. Yasar Aydin published a chapter titled “Deutschlands Rolle beim Flüchtlingsabkommen der Europäischen Union mit der Türkei – Eine Zäsur in der deutschen Türkei-Politik?“ in the edited volume “Deutsch-türkische Beziehungen: Historische, sektorale und migrationsspezifische Aspekte” by Wolfgang Gieler, Burak Gümüş and Yunus Yoldaş (eds.). INSITER Coordinator Ebru Turhan was invited to Izmir University of Economics by Jean Monnet Professor Alexander Bürgin to hold a Jean Monnet Seminar. 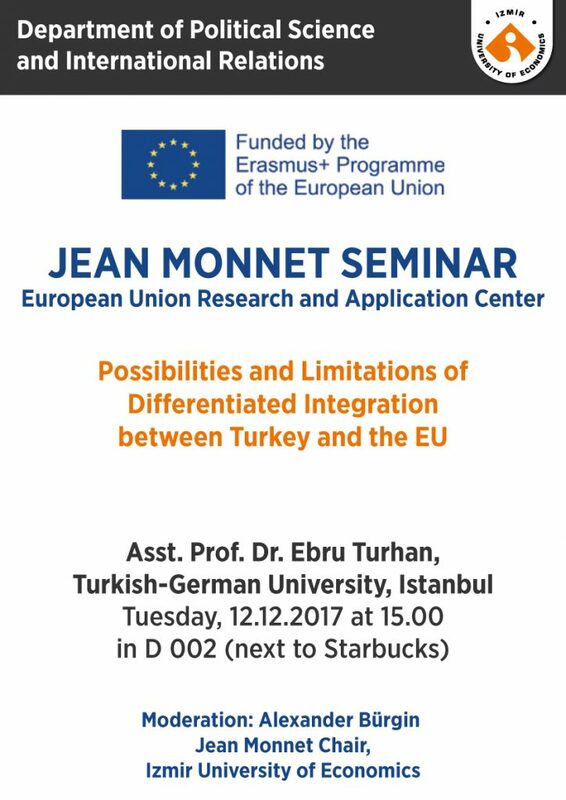 On 12 December 2017 Turhan gave a talk in Izmir on “Possibilities and Limitations of Differentiated Integration between Turkey and the EU.” More than 50 students and academics participated in the Jean Monnet Seminar at the Izmir University of Economics. The 1-hour presentation of Turhan was followed by a lively and interactive Q&A session.